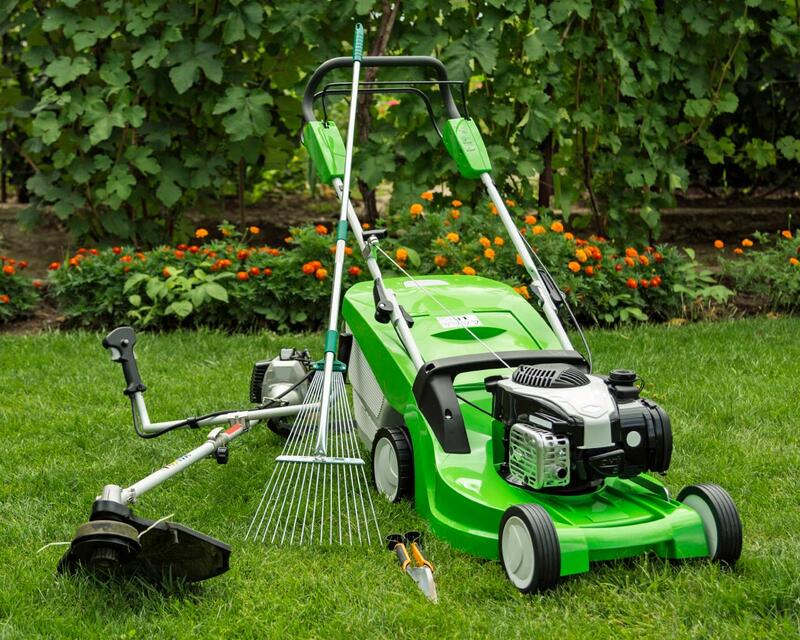 Green lawnmower, weed trimmer, rake and secateurs in the garden. 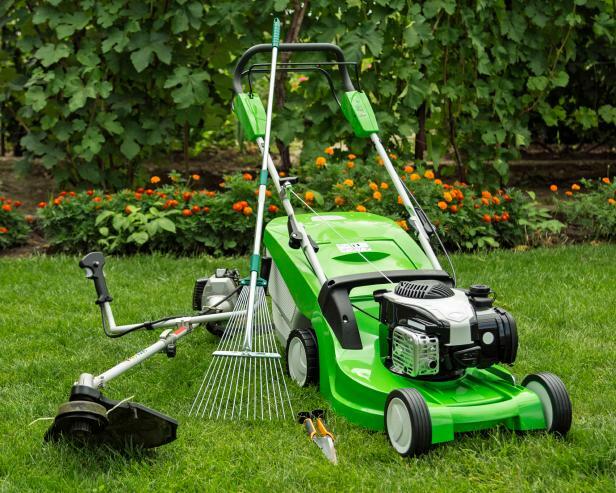 Tackle spring mower maintenance with confidence using our back-to-basics checklist. 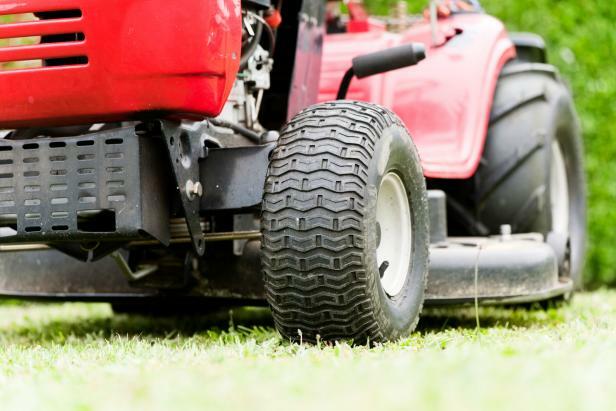 These tips apply to walk-behind and riding mowers. Change oil. 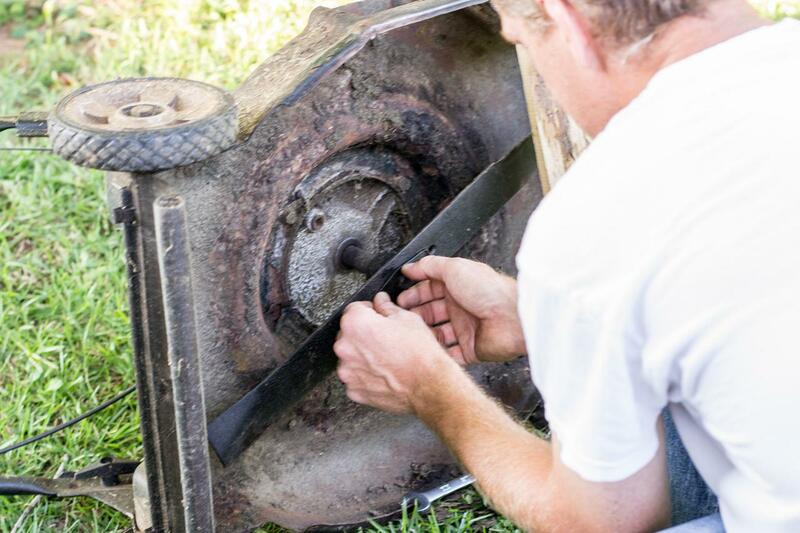 Start each mowing season with an oil change. Be sure to disconnect the spark plug wire before starting the job. Also, make sure the gas tank is empty before lifting the mower. Replace spark plug. Check your owner’s manual, but many recommend replacing the spark plug at the start of the mowing season. Clean air filter. Use an air compressor to blow dust out of an accordion-type (paper) filter. If you can’t get it clean, go ahead and replace it. It’s a good idea to keep extra filters on hand so you can easily replace them during the mowing season. Wash a foam filter in warm, soapy water and air dry. Before replacing, coat the filter lightly with your mower oil by placing it into a zipper bag. 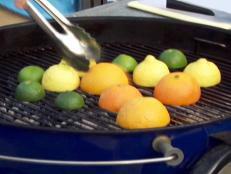 Add 1 to 2 tablespoons of oil, working it into the filter. Blot the filter with a paper towel before replacing. Sharpen the blade. Tackle the job yourself with a metal file, sharpening stone or grinding attachment for a drill. Pass your sharpening tool over the existing beveled edge. Always sharpen in the same direction with each pass. Tighten bolts. Inspect all mower bolts and screws, tightening any that are loose. It’s terrible to lose a bolt while mowing — and nearly impossible to find. Add gas. 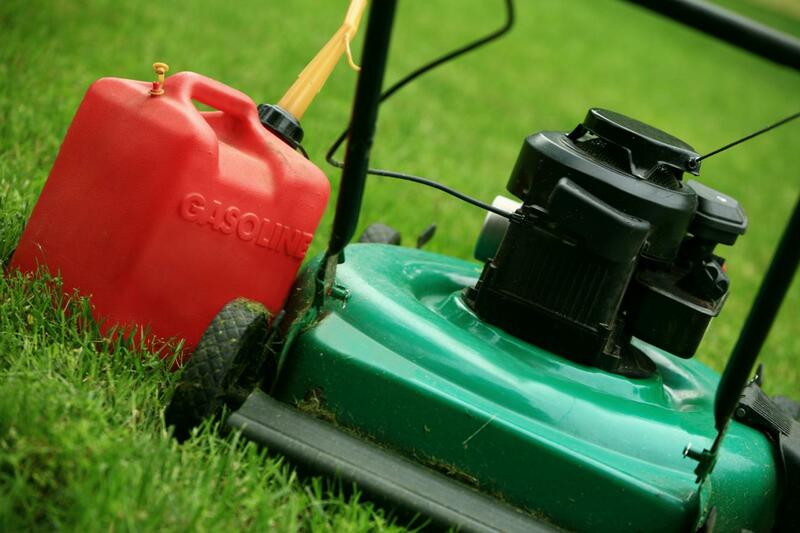 Start the season with fresh gas, and be sure to add fuel stabilizer to your gas can. Modern fuels tend to lose their effectiveness quickly, which means old gas leads to rough or no starts. Double-check your owner’s manual to ensure you buy the right type of gas. Clean up. After each mowing, sweep grass clippings and debris off the mower. Be sure to remove debris from the engine intake. A few times a season (especially if grass was long or wet), clean out the area beneath the mower. Disconnect the spark plug wire before lifting the mower. Adjust cutting height. Double-check cutting height before starting the mower. If you lowered the cutting deck for leaf chopping or the final cut last fall, make sure you raise it before starting a new mowing season. For riding mowers. Check tire inflation, and inspect belts for fraying or cracking. Consult your owner’s manual for other specific tasks. For battery-powered mowers. Charge the battery, sharpen the blade and adjust cutting height. If a fully charged battery doesn’t have the staying power of the past, replace it. Batteries typically last four to five seasons. These handheld cutting tools aren’t too tricky to keep in tip top shape. 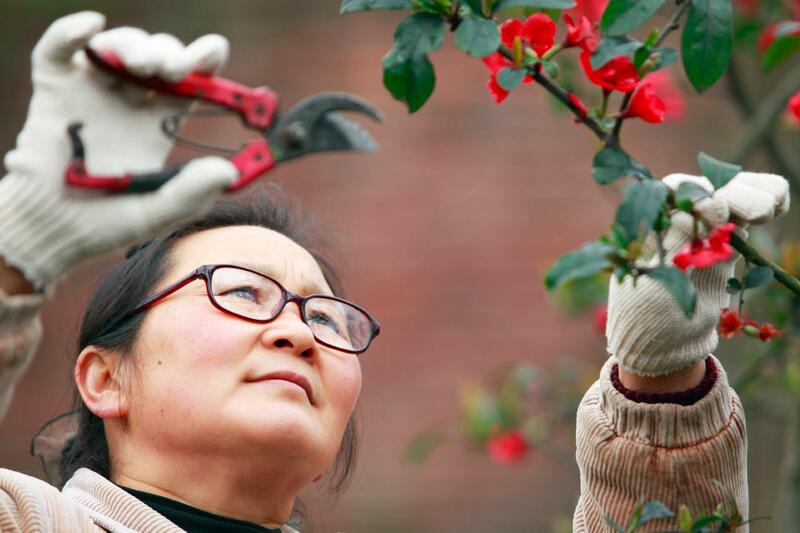 The most important thing is to clean your pruners often — both handheld pruners and loppers. Follow these rules to keep your pruners at their best. Clean blades. Wipe down pruners with a dry rag after each use. The ideal wipe down pairs a squirt of lubricating oil, similar to WD-40, with a swipe using a cotton rag. Put blades away clean and dry. If a pruning job leaves sap on the blades, WD-40 will remove it. Sharpen regularly. Keep cutting tools sharp. Use a sharpening stone or specialized pruner sharpening kit, which are very easy to use. Always sharpen the bevel-edged blade, passing the sharpening surface over the blade in one direction only. Typically you should only need to pass the sharpener over the blade up to six times. 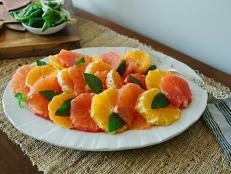 A perfectly sharp edge slices cleanly through a sheet of paper without crimping or folding it. Oil joints. Apply lubricating or penetrating oil to joints — before they get stiff. Store open. Pruning tools with springs are best stored open to keep tension off the springs. This makes the spring last longest. Sterilize as needed. Use rubbing alcohol or a Lysol-type disinfecting product to sterilize blades. 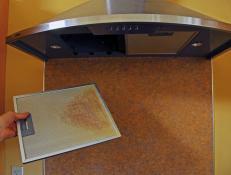 Avoid using bleach, which can corrode the metal. A chainsaw’s regular upkeep can be demanding, and this is one tool that’s unforgiving if managed improperly. 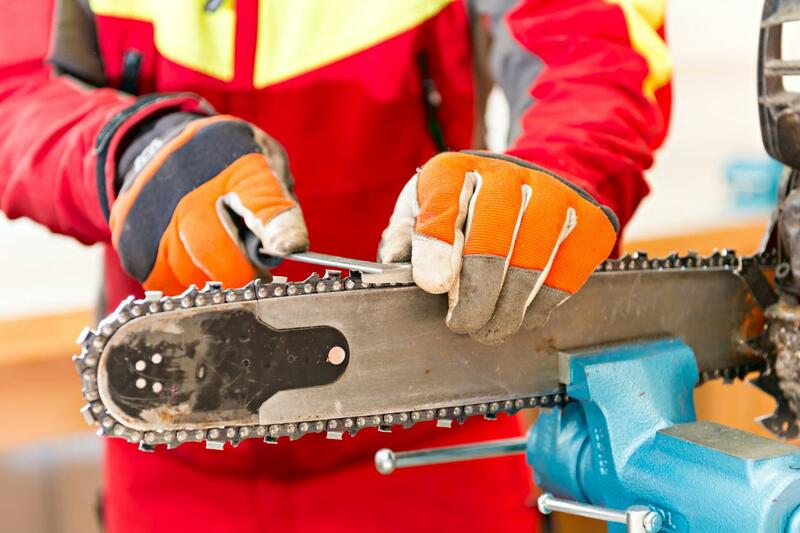 Safety is foremost with chainsaw use, and keeping it in good working order is vital. Typical chainsaw maintenance includes a variety of tasks. Above all, consult your owner’s manual and follow the prescribed maintenance schedule. The Mount residence in Cincinnati, OH. 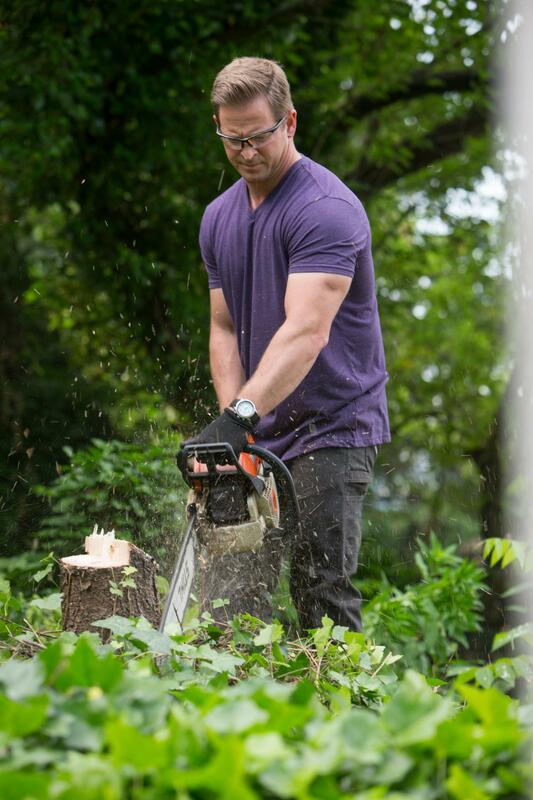 during the yard makeover by Licensed Contractor Jason Cameron as seen on DIY Network's Desperate Landscapes. jason Cameron cuts down a pine tree in the front yard. Check chain tension. Before each use, make sure the chain tension is in line with the specs for your chainsaw. Clean the air filter. Check the air filter after every eight hours of use. Clean it with a soft bristle brush or a wash in soapy water followed by air drying. Do not use an air compressor to blow out dirt. It can blast holes in the filter, which allows dirt and woody debris into the carburetor. Use the proper fuel. Fill the tank with the fuel mixture prescribed by your owner’s manual. Take care to use the right type of oil at the right ratio. Always shake your fuel-oil mix before adding it to the tank because it tends to separate. Choose the right oil. The chain oil tank requires a specific type of oil. Make sure you have the right type and that you keep the tank filled. Keep the chain sharp. Refer to your owner’s manual to learn the right way to sharpen the chain. You might be able to do it yourself, or you may need a professional to tackle it. Steer clear. Be watchful when cutting and avoid encounters between your chainsaw and soil, stones or other materials that might damage the blade or, worse yet, cause kick back. Take these steps to help lengthen the lifespan of your favorite garden hose. Put it away. Store the hose after each use. This protects the hose from accidents, like getting run over by a lawnmower or car. Reel in an unruly garden hose in this Patina Copper Hose Pot from Frontgate.com. 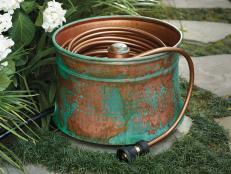 The hand-applied patina finish gives this copper pot an aged look. 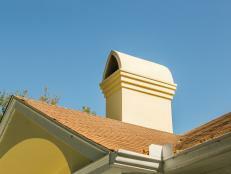 Its weather worn appearance blends with any outdoor decor. Store properly. Always coil the hose to prevent kinks. You can invest in a hose reel for a quick wind up, or use an informal storage option, like coiling in or around a large pot. Or just coil it in a neat pile on the ground. Release pressure. After turning off the faucet, release the pressure on the hose and fittings by opening the hose end. Close it after to avoid having it spray when you turn on the water next. Fix drips. Use plumber’s tape when you connect the hose to the faucet to stop drips before they stop. Prevent leaks. Keep connections leak-free by replacing washers at the start of each watering season. If you spot a leaky connection during the growing season, replace the washer again. It’s worthwhile to keep a washer supply on hand for quick fixes. Store for winter. Drain hoses before freezing weather arrives, coil them and store for winter. It’s best to store hoses indoors. Repeated exposure to freeze-thaw cycles can weaken the hose material. 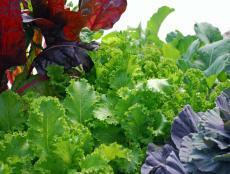 A garden hose is just one part of watering thirsty plants. Learn what you can do to coax the longest life from your hose-end watering devices. Let off the pressure. Open the watering wand end of the hose after turning off the faucet. Keep the wand open until the water stops dribbling, then turn it off. Invest in quality. Professional quality watering wands feature replaceable breakers and turn-off valves. Watering wands formed as one fused part from handle to breaker require more frequent replacement and cost you more in the long run. Check the grip. 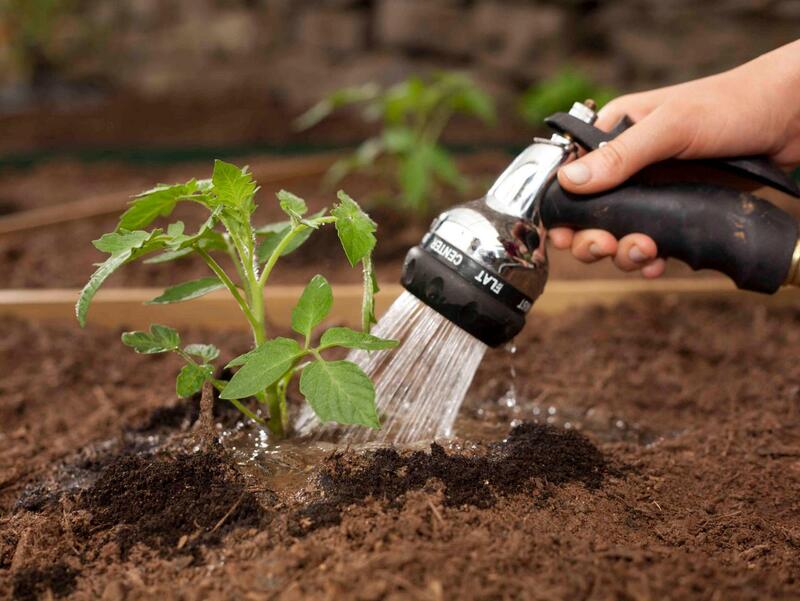 Look for watering tools with ergonomic handles and stay-on features that don’t demand a constant grip for water to flow freely. Choose faucet splitters with large, easy to turn handles. Choose on-off valves. Select a tool with an on-off feature that allows you to control the water flow without going back to the faucet. This saves water and time. Store for winter. 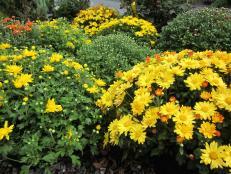 Remove watering wands and nozzles from hoses for winter. Also remove faucet splitters. Before storing, drain these items by standing upright for a few hours. You can lean them against a wall outside or inside a building near a floor drain. 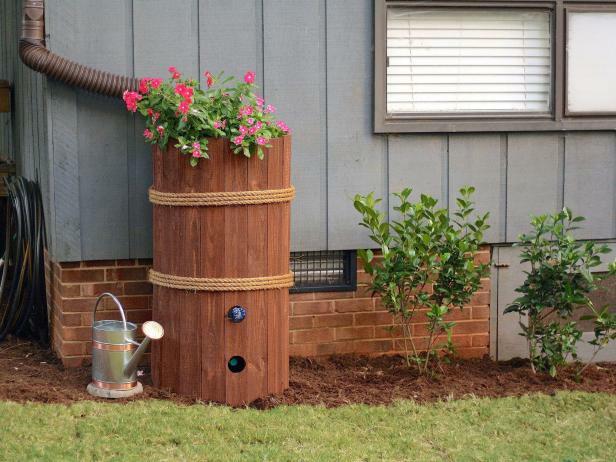 A rain barrel is one garden tool that gives huge benefits in exchange for little upkeep. Check your barrel instructions for specific care tips. 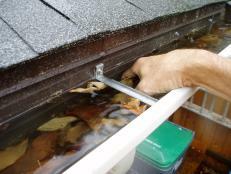 The screen should prevent accumulation of debris in your barrel and will protect against mosquito larvae. If mosquitoes become an issue, add a couple of tablespoons of vegetable oil to the water to prevent larvae from forming. 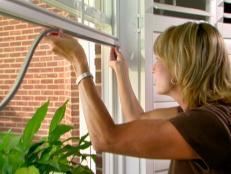 Keep screens free of leaves and debris and leave the drainage hose adapter open in winter months to avoid ice damage. Use a cover. Always use a cover over your barrel. It should help keep out debris, as well as critters interested in a sip. This is vital with homemade barrels that lack a formed cover. A chipmunk or squirrel leaning over a barrel edge to drink often fall in, and that’s one surprise you don’t want. Deal with mosquitoes. With a proper cover, most rain barrels won’t result in mosquito breeding, but be prepared with natural bacterial packets you toss into the water. The bacteria interferes with mosquito larvae. Consider overflow. Inspect the overflow device and make sure it’s open, especially for barrels located near your home’s foundation. If by some chance the barrel fills and starts overflowing in a downpour, it can quickly overwhelm a sump pump and flood a basement. Store for winter. In cold regions, drain barrels before freezing temperatures arrive. Remove any hose attachments and screens and store out of the elements. Leave drain spigots open. Store barrels inverted for winter or use a solid cover. Check your barrel instructions for any winter storage requirements unique to your system. Digging is hard work that’s even more difficult when tools aren’t properly maintained. Discover what you need to know to keep your favorite diggers ready to go. Clean the blades. After each use, rinse dirt off shovels and trowels. If they’re caked with dirt, let them soak in a bucket of water, then use a combination of churning and swishing motions to help remove soil. Rinse or wipe down handles, too, to remove traces of soil. Allow tools to dry before storing. Prevent rust. After rinsing, wipe metal parts down with a lightweight lubricating oil, such as machine oil or silicone spray. 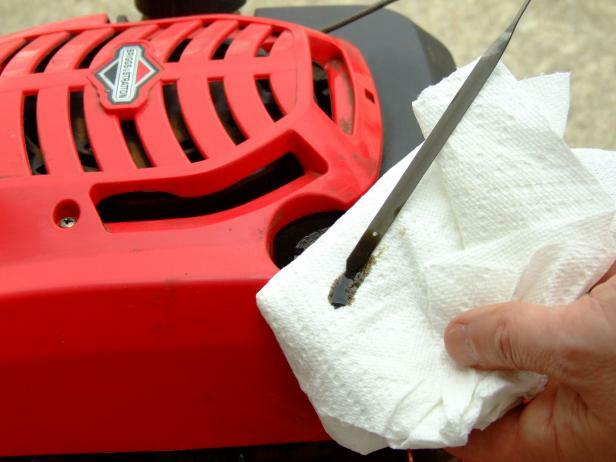 An easy way to apply oil is to stuff a sock with sand or cloth, tie off the end and dip into clean engine oil. Squeeze out excess oil, and use the oil sock to wipe down metal parts of clean tools. Store the sock in an upcycled lidded plastic container or zipper bag. Tend to handles. Rinse handles after use. Rub clean wooden handles with a medium grit sandpaper to remove any splinters or rub out nicks. Annually, coat wooden handles with a layer of boiled linseed oil or inexpensive olive oil. Let handles dry completely before storing. Sharpen edges. As edges on digging tools become dull, sharpen them using a straight file or grinder. Follow the existing bevel along the blade edge. Tools like scooping shovels and some trowels have dull edges that shouldn’t be sharpened. Turning soil in a garden is easier when you let a tiller do the hard work. The best way to learn how to care for your tiller is to read the owner’s manual, but following these few tips helps a tiller run smoothly. Check the air filter. 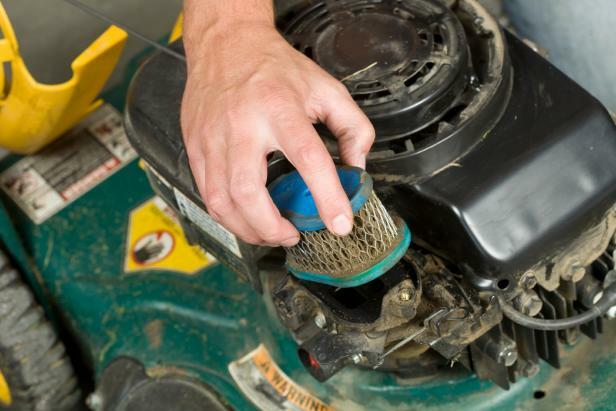 At the start of each growing season, inspect the air filter. Replace a dirty accordion pleated paper filter. Wash a foam filter and let it air dry. Replace if it’s worn or stretched. Otherwise, oil it before replacing by placing it in a plastic bag and adding up to two tablespoons of oil. Squeeze the oil into the foam, blot it with paper towels and replace. Replace the spark plug. Follow the owner’s manual for knowing how often to replace the spark plug. Check connections and belts. Double-check all bolts and nuts prior to using. Tighten anything that’s loose. Also inspect belts, replacing any that are worn or cracked. Add gas and oil. Make sure gas and oil levels are correct. Inspect tines. Check the tines, looking for bent parts or dull blades. Replace parts as necessary. For sharpening, you will likely need a professional hand. Clean the engine. When the engine is cool, clean away grime and dirt after each use. A clean engine allows you to find leaks quicker. Drain the fuel. In fall, either drain the gas or treat it with a fuel stabilizer. When it comes to hauling, a wheelbarrow can take some of the oomph out of the job. Follow these tips to keep your barrow at its best. Clean it up. After each use, clean out the bucket. If you rinse it with water, stand it up and let it dry before storing. 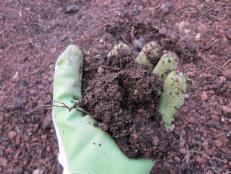 This is especially important with a metal wheelbarrow, which can rust if water sits in it. Use a wire brush to loosen dried dirt. Check handles. Use medium-grit sandpaper to smooth out rough spots in wooden handles. Grab a wire brush to remove dried dirt or concrete. Rub boiled linseed oil or even cheap olive oil into handles and wipe them down. Let oiled handles dry in the sun before storing. Lube the wheel. Apply light machine oil to the wheel axle to keep it turning freely. Check the tire. Inflate the tire to the proper pressure. A bicycle pump handles the job easily. 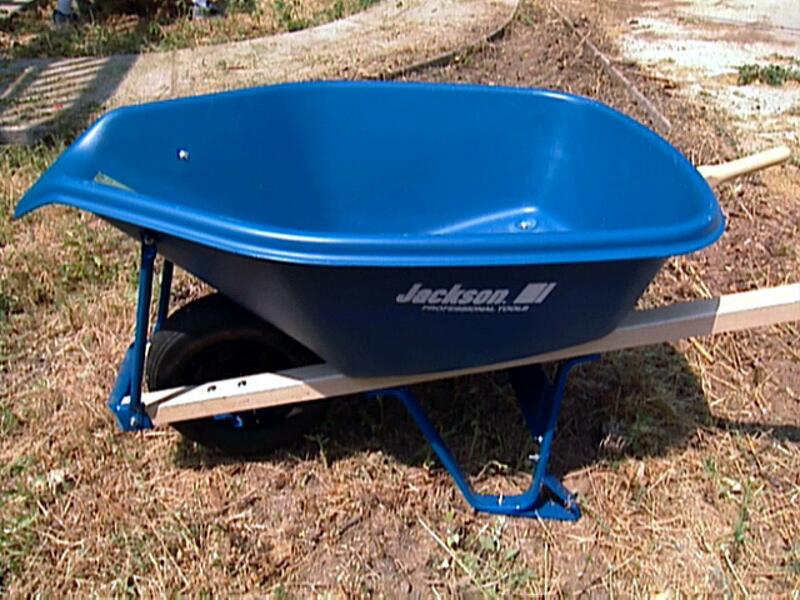 If your wheelbarrow tire needs frequent fill ups, consider replacing it with a flat-free tire. They’re a little more expensive than traditional tires, but their long life and zero maintenance makes up the cost difference. 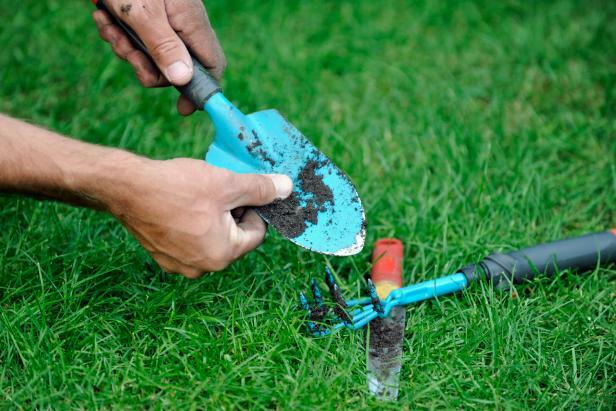 A lawn edger makes quick work of edging beds. 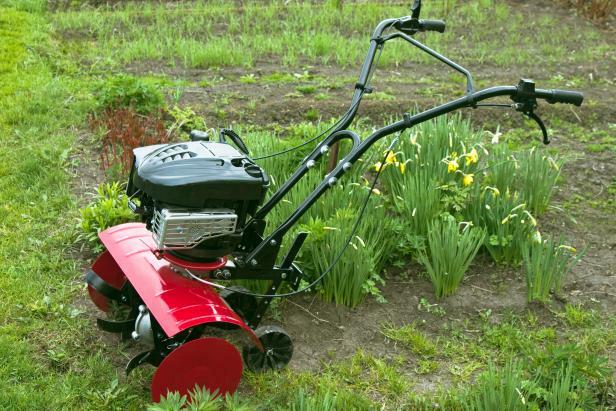 If you only have a little edging to do, consider renting this piece of equipment from a local hardware store. Fix the pull cord. If the recoil cord won’t fully retract or is especially stiff, remove the cover and blow out any debris. Lube if necessary. Check belts. Always visually inspect belts before using. Replace cracked or fraying belts. Pull the dipstick. Check the oil level before each use. Top off as needed. Change oil at the start of each growing season or according to the maintenance schedule in the owner’s manual. Inspect air filter. Check and replace the air filter as needed. 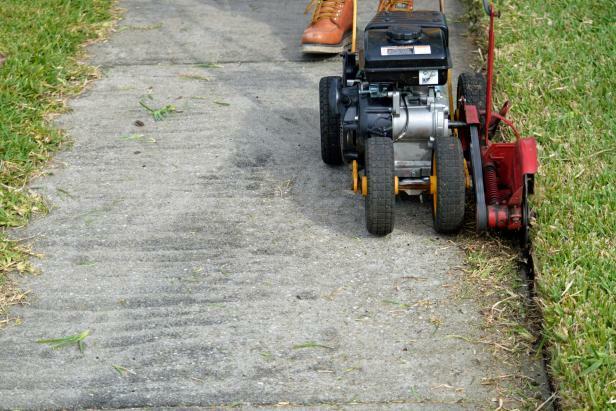 An edger kicks up dirt and grass, which puts a heavy load on the air filter. Clean the edger. Let the edger cool down after each use and clean it thoroughly. Use an air compressor to blow out dirt and grass, taking special care around engine air intakes. Maintaining a leaf blower is all about tending to the small things. 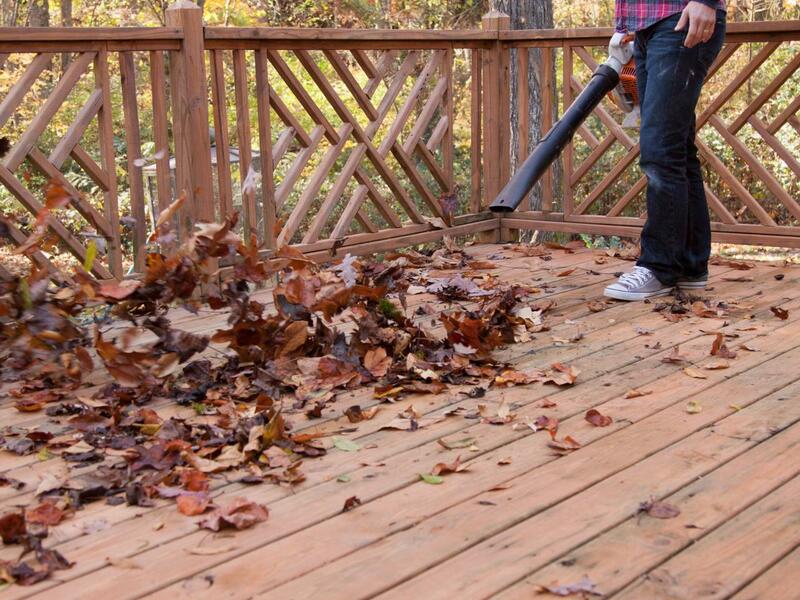 Use a broom or leaf blower to clear any leaves, dust, branches or dust from deck. Check the air filter. At the start of the blowing season, check the air filter. If you didn’t replace it last fall, start the growing season with a new one. Inspect air intakes. Keep air intake areas free of debris. Also check the outside of the carburetor and clean it as needed. Double-check bolts and zipper. Inspect and tighten bolts, nuts and screws, and make sure the collection bag zipper works. Apply a coat of wax if it’s sticking. Change the spark plug. Do this once a growing season if needed. Your owner’s manual should provide more specifics. Add gas. For gas-powered blowers, add fresh fuel to start the season.